Hola Flo! 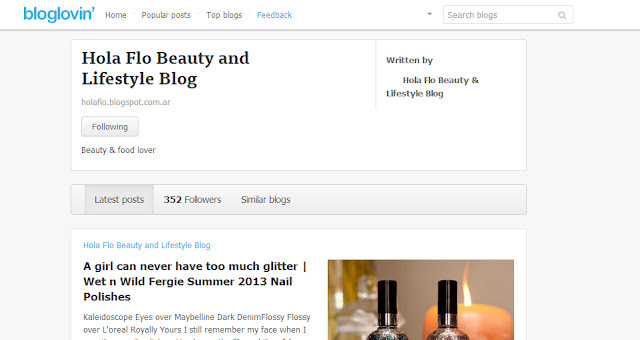 Beauty and Lifestyle Blog: Follow me! Yeah, yeah, yeah... We all know that Google Friend Connect is probably going to dissapear and we are scared about losing everything. If this happens I'm personally screwed because I always see my favorite blogs latest posts at Blogger.com even tough I get the Bloglovin's Daily Feed email all the time. Luckily, there are other social networks to follow blogs. Like previously mentioned, Bloglovin is a great way and is the one I'm going to start using from now on. You can follow my blog on Bloglovin' by clicking the picture and then 'following' or just click the Bloglovin' link on the right side bar in my blog. A esta altura ya todas sabemos que Google Friend Connect probablemente va a desaparecer en unos días y estamos con miedito de perder todo. Si esto realmente pasa estoy al horno porque chequeo todos los nuevos posts de mis blogs favoritos en Blogger.com aunque reciba los emails de Daily feed de Bloglovin' todo el tiempo. Afortunadamente, hay otras redes sociales para seguir blogs. Como recién dije, Bloglovin' es excelente y va a ser mi página de cabecera para seguirlas a ustedes. Me pueden seguir en Bloglovin' clickeando la foto a continuación o tienen el botón de seguir mi blog en Bloglovin en la barra derecha de mi blog. Instagram is my favorite social network, I upload pictures there all the time and I started uploading some random videos. Instagram es mi red social favorita, subo fotos ahí todo el tiempo y hasta comencé subiendo videos muy random! You can also follow me at Facebook, SheSaidBeauty and Twitter. Twitter is my least favorite social network because I never really have anything to say, I rather upload pictures and add a little text (Instagram FTW!). What is your favorite and least favorite social network? Do you have a bloglovin' account already? También me pueden seguir en Facebook, ShesaidBeauty y Twitter. Cuál es su red social favorita y cuál es la menos les gusta? 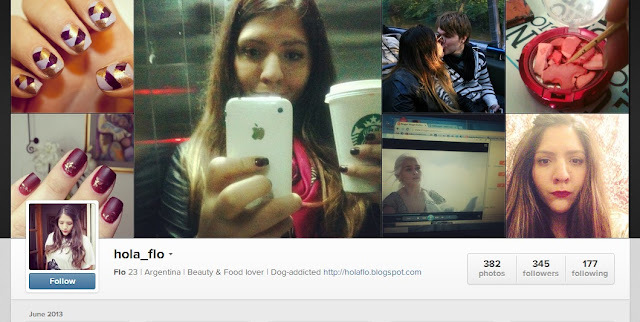 Tienen cuenta en Bloglovin? Dejenme sus usernames y las sigo! No suelo usar bloglovin, tendremos que acostumbrarnos!